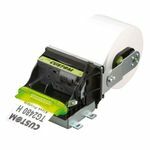 Compact and easy to use Kiosk Receipt Printers that offer great flexibility. Aussie POS offers customized kiosk receipt printing solutions to suit specific business needs. For details, Please Call 1800 730 846. Ships Anywhere in Australia ! 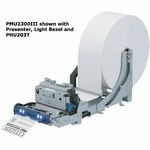 The PMU-2200/2300 Series thermal kiosk printer is the ideal solution for kiosk applications where space is a premium and flexibility is a must. 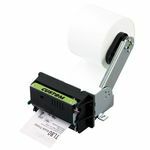 Small and compact, these units feature a blazingly fast print speed of up to 150mm/second. Custom TG2480 80mm Kiosk Printer for Receipt and Tickets, Paper-roll holder included, USB and RS-232 Serial. 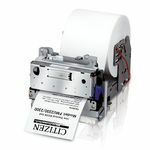 Custom TL80 Kiosk Thermal Printer, 80mm, 150mm/sec, RS-232 Serial and USB, Auto-cutter, Paper-roll holder included.